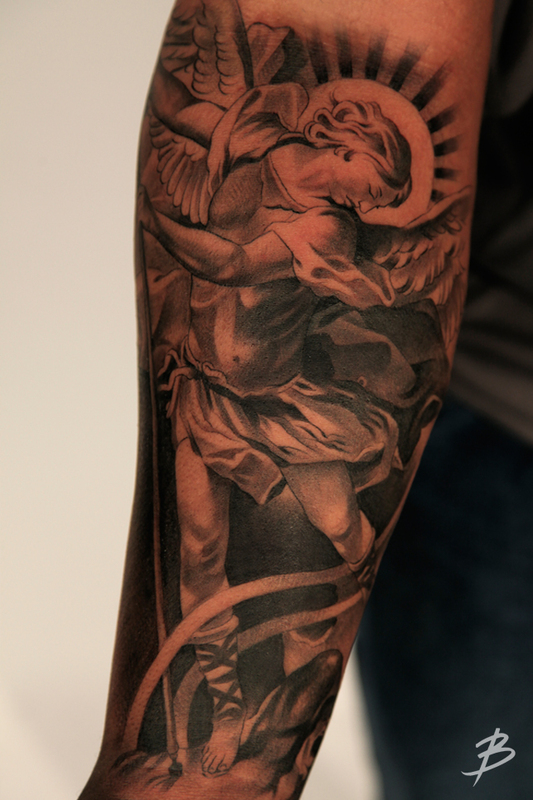 Yesterday Chris came all the way from New York to come get what he called his first "real tattoo". 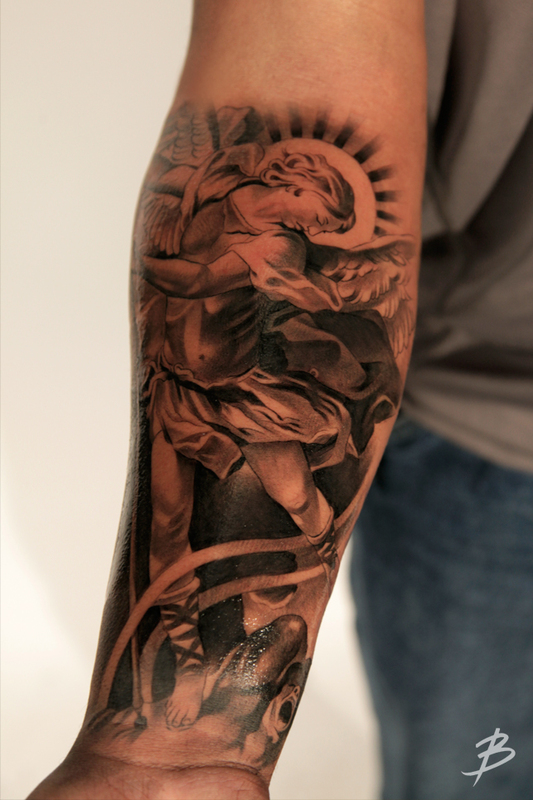 He wanted to starts his collection with a Saint Michael on his right forearm. 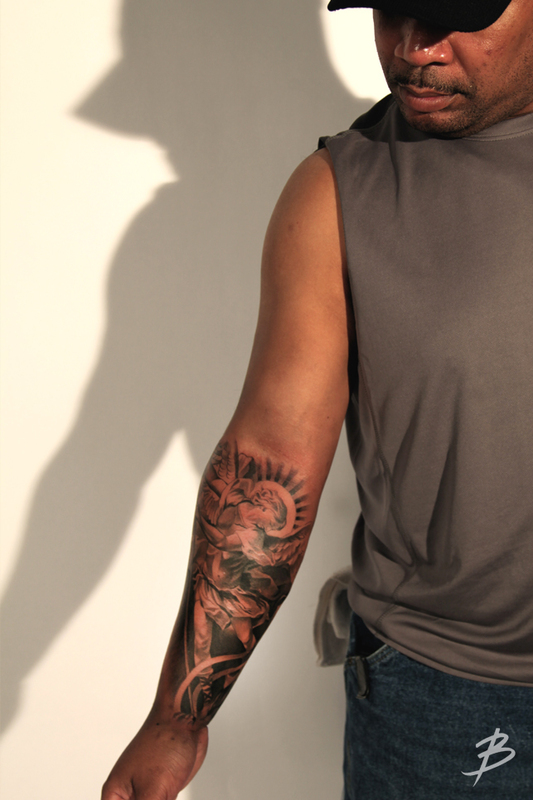 It was a very productive first session and Chris sat like a champ through the 10 hours of work. Sergio got some good footage too so be on the look out for new videos in the near future. Thank you Chris for coming by! We will see you soon to add some more to your sleeve.